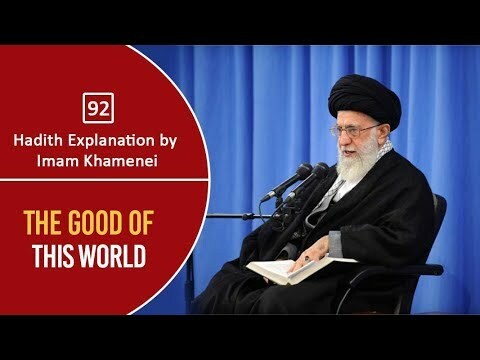 Hadith Explanation by Imam Khamenei | Two Types of Dead People Ayatollah Khamenei explains a hadith which categorizes the dead people into two. At the end of the day, we all need to leave this temporary abode. How do we want to depart it? Hadith - One who gets up in the morning and is not concerned about the affairs of other Muslims is not a Muslim. This is a hadith of Rasool Allah s.a.w.a.w. Must listen detailed discussion on Chahal Hadith # 7 on Ghazab (Anger). Points discussed are; Benefits and need, harmful effects, ways to manage and control Anger. 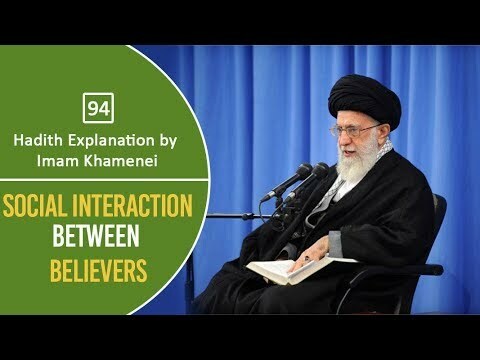 Hadith Explanation by Imam Khamenei | How to Attract Hearts? Ayatollah Khamenei explains in the light of a hadith that how can one attract the hearts of people to oneself. Ayatollah Khamenei recites a hadith of Imam Ali (A) where he explains three conditions of a person. Then he talks about the opposite of it in the light of the same hadith. Beautiful explanation. 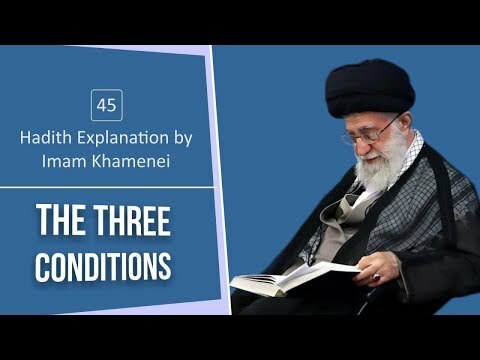 Hadith Explanation by Imam Khamenei | Why is Truthfulness so Important? Ayatollah Khamenei explains a hadith of Prophet (S) to Imam Ali (A) narrated by Imam Sadiq (A). It is a rational discourse on the importance of truthfulness and honesty. 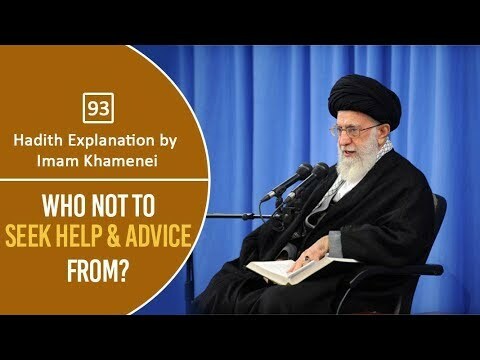 Hadith Explanation by Imam Khamenei | Act According to Prophet\\\'s Sunnah Ayatollah Khamenei explains a hadith of Prophet Muhammad (S) where the Prophet advises Imam Ali (A) to follow his Sunnah. The Prophet (S) highlighted three essential ingredients of his Sunnah. Hadith Explanation by Imam Khamenei | Prerequisite of Spiritual Journey Ayatollah Khamenei explains a hadith of Prophet (S) and gives us a major prerequisite of starting our spiritual journey. We all have this intrinsic desire to elevate spiritually. How can we make it possible? Where do we start? Hadith Explanation by Imam Khamenei | Forgiveness of Sins of a Day Ayatollah Khamenei explains a hadith of Imam Sadiq (A) where he informs us of a method through which a person\\\'s sins and slips of a day can be possibly forgiven. What can one do? Are there any exceptions to the rule? 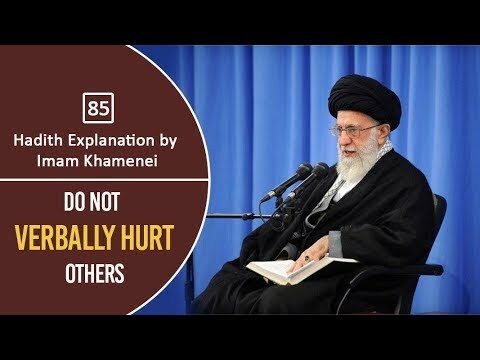 Hadith Explanation by Imam Khamenei | Slander & Secrets Ayatollah Khamenei recites and explains a hadith of Imam Ali (A) which highlights the importance of avoiding getting ourselves in situations where others may get an opportunity to slander us. Similarly, a believer should be very careful when it comes to sharing secrets. Hadith Explanation by Imam Khamenei | Urge to be Famous Ayatollah Khamenei elaborates on a hadith of Imam Sadiq (A) that addresses the concept of becoming famous. How does Islam look at those urging and yearning to be famous? You'd be surprised to know how Islam's take on this topic is contrary to that of the people of the world. 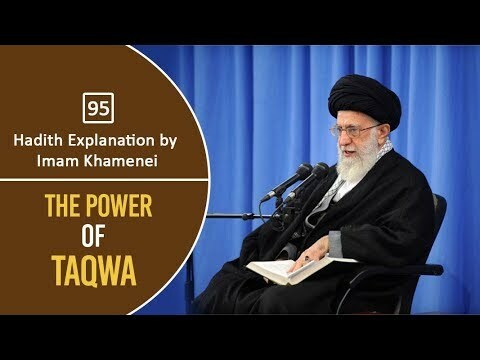 Hadith Explanation by Imam Khamenei | The Power of Taqwa Ayatollah Khamenei explains a hadith of Imam Ja'far Sadiq (A) about the power of Taqwa. How do we define Taqwa? How was it beneficial for the Prophets? What if our intellect asks us to do something different than what Taqwa requires us to do?